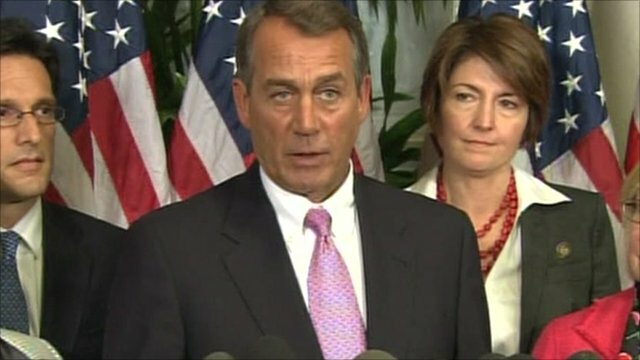 House Republicans' payroll tax U-turn Jump to media player House of Representatives Republican Speaker John Boehner has agreed to accept a bipartisan deal to extend a payroll tax cut, in an abrupt U-turn. 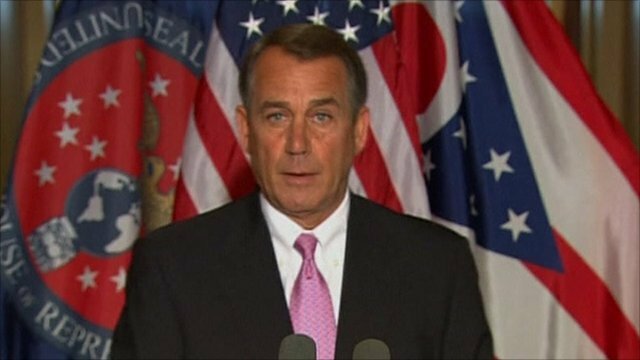 Boehner's battle over spending Jump to media player John Boehner says his 'biggest fight' is over the level of cuts as Republicans and Democrats offer starkly different reasons for an impasse in talks on US spending cuts. 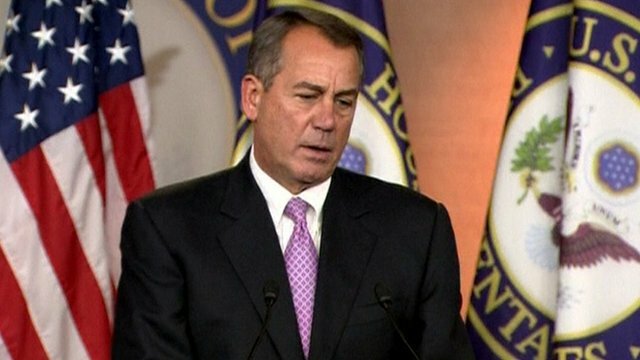 Boehner: 'It has been a long fight' Jump to media player It is understood Democrats and Republicans have compromised over their positions and agreed a temporary deal. 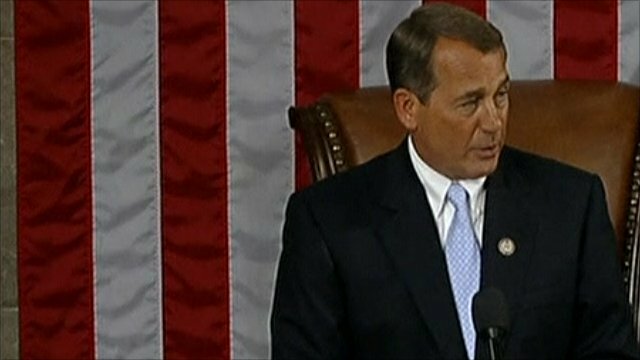 House of Representatives Republican Speaker John Boehner has agreed to accept a bipartisan deal to extend a payroll tax cut, in an abrupt U-turn. He had refused a vote on the bill, which was passed by Republicans and Democrats in the Senate last Saturday. The tax break is due to expire on 31 December, and would hit the pay slips of some 160 million American workers. The cut saves about $1,000 (£638) each year for an average US income.